Such is the life for anyone who owns one of the 500,000 IBM PCJrs that Big Blue managed to get out of the door during the year or so the product was on the market. As [AkBKukU] found, a replacement AC adapter for the odd-ball computer was going to cost more than what he paid for the thing, so he set to work on creating an adapter so he could use a modern ATX PSU on the machine. After a couple of months of ironing out the kinks, the design is finally ready for consumption. 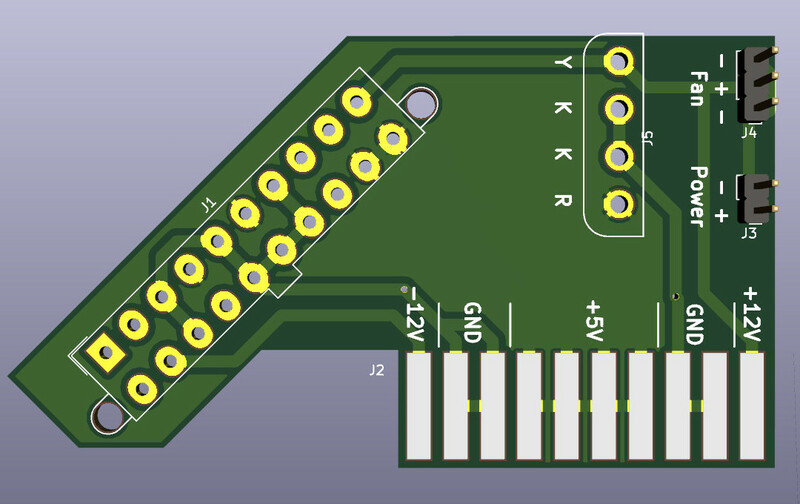 In the end, the PCB design itself is quite simple. It’s really just a matter of switching around some pins from the standard ATX plug to the edge connector on the PCJr. There’s also a connector for powering a floppy drive, as well as headers for a fan and power switch. [AkBKukU] has come up with two ways to use the adapter. You can either go with a standard ATX PSU, in which case it will need to sit outside the machine due to its size, or use a PicoPSU which allows you to keep the whole thing internal. If you don’t mind spending the cash, the PicoPSU method is a much cleaner installation that still provides plenty of power. Depending on which route you take, there are different 3D printed plates to adapt the computer’s rear panel to fit the new hardware. All the files to build your own version are in the GitHub repository, and [AkBKukU] is doing some low volume runs of both kits and assembled adapter. 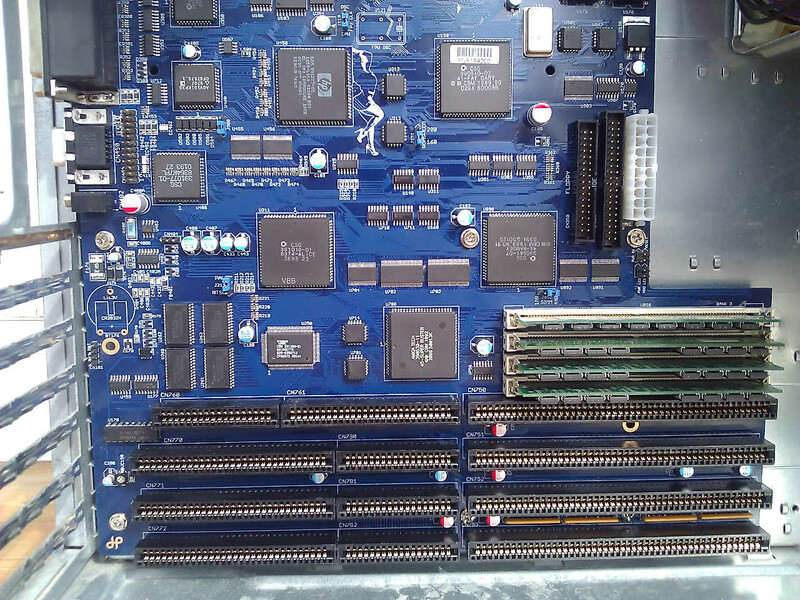 If this project looks familiar, it’s because we reported on it back when it was still a hand-scratched PCB that didn’t always work as expected. There are exactly two types of personal computers available today. If you need a lot of horsepower, a powerful GPU, or a full-power CPU, you’re going to end up with a desktop. If you need something portable, you’re getting a laptop with a wimpy CPU and an underpowered GPU. Historically, there has been a third type of PC, the luggable. The luggable is a desktop PC crammed into a case that makes it slightly more portable than a desktop and a monitor. You cannot buy a luggable PC case right now. They simply do not exist as a commercial product you can shove your own hardware into. This is a form factor an entire industry forgot. Now there’s a DIY luggable PC. 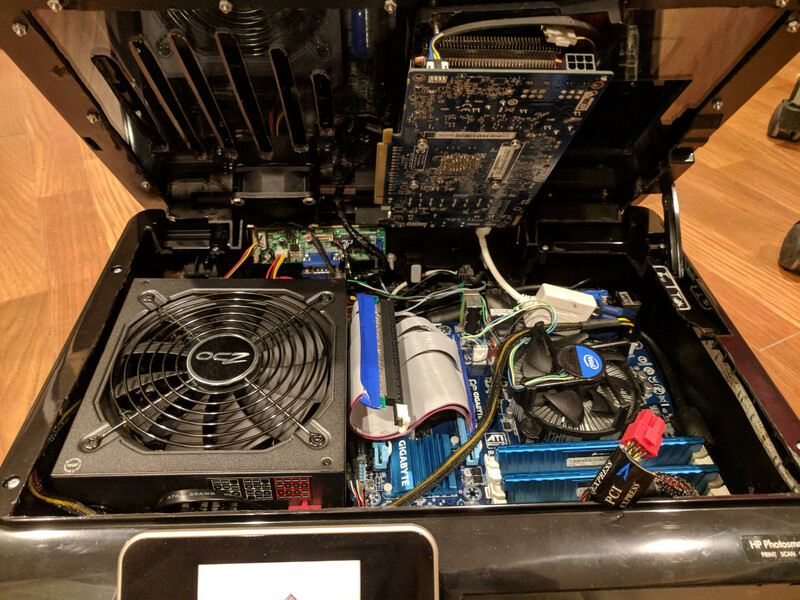 This project from [Roger] packs a standard ATX motherboard, a full-size GPU, a full-size power supply, and everything else that makes a desktop PC powerful into a case that can be stored in an overhead bin. [Roger] has been working on this project for a while, and it was featured on Hackaday back when it looked like a RepRap Mendel. There have been some significant improvements over the earlier iterations of this project, including a very, very cool hinge mechanism that allows the display to fold in when the computer isn’t being used. It’s a mechanical wonder that prevents scratches. Neat. The rest of the case is constructed out of 2020 aluminum extrusion, and about a one kilogram spool of filament. Since this is a portable case, there are a few compromises. There are no 5.25″ bays, no 3.5″ bays, and few 2.5″ bays. M.2 SSDs and USB-powered CD drives exist, so this isn’t a big deal. This is a truly fantastic case in a form factor you can’t buy anywhere else. If you have a spare monitor and a bit of extrusion sitting around, this is one to build yourself.